United Wisconsin Insurance Company was originally founded in 1957 under the name Health Insurance Corporation. At that time, they offered a modest list of health insurance products in a handful of Southeastern and Midwestern states. Since then the company has narrowed its focus as well as its states of coverage. The company changed its name to United Wisconsin Insurance Company in 1983. Searching for online health insurance quotes is made easier when you enter your zip code into our search tool. Interestingly enough, despite the name change to United Wisconsin Insurance Company; they still do business under a different name. 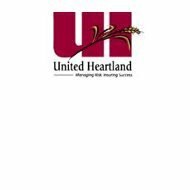 That name is United Heartland; not to be confused with the United Heartland Insurance Agencies located in the state of Ohio. Why United Wisconsin has chosen to do business under a different name is not clear. Regardless, if this is the company you want to deal with be sure you contact them at their Milwaukee, Wisconsin offices. Despite offering a variety of health insurance products in their earlier years of operation, it appears as though United Wisconsin now deals only with workers compensation and commercial loss control products. Workers compensation insurance is very difficult to navigate because state laws vary so greatly. Therefore, it would not be unusual for an insurance company involved in workers comp to reduce its participation in other lines of insurance in order to focus the majority of its attention on the workers comp. This appears to be the case with United Wisconsin. With that in mind, we can deduce that the company’s health insurance benefits are not direct benefits in the same way your primary health insurance policy is structured. Any medical claims made against a workers comp policy would have to be for injuries or illnesses that directly resulted from a workplace activity. They will also be subject to limitations, which might rely heavily on the circumstances of the claimant. Suffice it to say that workers compensation insurance is not anything like standard health insurance. All United Wisconsin workers compensation plans are made available directly to employers. The company specializes in underwriting policies that can save their customers up to 30%. They claim to accomplish this through creative underwriting practices that customize each individual policy to customer needs and the state in which the business is regulated. If true, a 30% savings is very significant. Loss control includes helps policyholders reduce losses based on negligence, ignorance of regulations, poor management, and so forth. United Wisconsin sells policies through independent agents in the states they cover, as well as a handful of neighboring states. Agents will most likely be engaged in representing the company for both their workers compensation and lost control divisions. The company website provides a link to an agent portal giving the agent access to a plethora of online administrative tools. There’s also a link to a client portal, which we assume allows policyholders to see and manage their accounts. Claims for United Wisconsin are handled through their corporate headquarters in Milwaukee. Clients may initiate claim service by contacting the claims department via a toll-free phone number listed on the policy documents. A second option is available for clients who have registered for an online account. They can log in to their accounts and file a short claim form online. This process will provide the client with a claim number, which can then be used to track the claim through its completion. Once the company receives the form, a representative will contact the policyholder as needed. United Wisconsin describes its claims service as a “three point contact” where they help facilitate communication between themselves, the policyholder, and the individual or entity that is the subject of the claim. The company boasts of their three-point program has being the best way to administer claims service for both workers compensation and loss prevention. Even though United Wisconsin doesn’t provide direct health insurance, you can still search online for health insurance quotes by entering your ZIP code below.